Life has seemed a bit chaotic lately. Maybe it is the time change. Maybe the cold air that has moved in. Maybe the fact that we are going on four weeks with a six year old child that refuses to sleep through the night. This combination of craziness has left us a bit tired which means food has taken a back burner to everything else. In times like these we turn to simplicity. 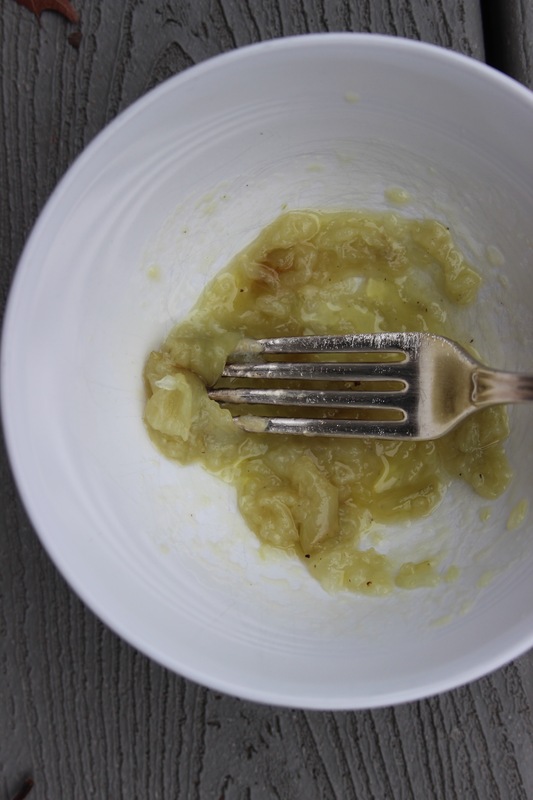 Tried and true techniques that will provide sustenance without lacking flavor. Before kids a lot of our eating was appetizer style. Meaning we ate small plates (at a decent hour like 7:30 or 8) rather than one big meal at 4:30. 4:30! When did eating dinner at 4:30 happen?! Sorry…it is the lack of sleep talking. But really. Dinner at 4:30 is insane, is it not? It is easier, though, than listening to hungry children bicker with each other until their bellies are satisfied. This is what I think about at 1:30 in the morning when our six year old climbs into bed with us and falls back to sleep instantly leaving me wide awake. 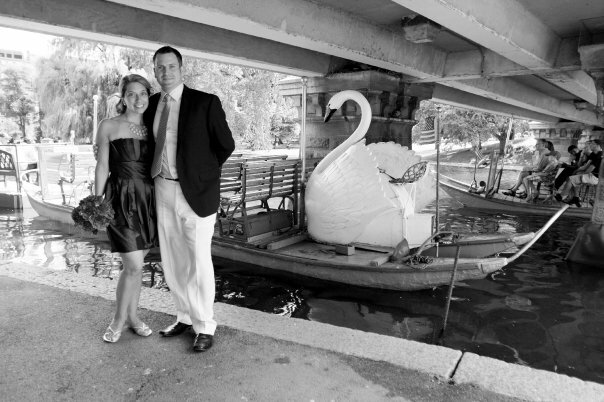 Once upon a time we lived eight hours away from each other, my husband and I. We would drive until the wee hours of the morning on Fridays after work to see each other on the weekends, which really equated to one day because the second weekend day was spent driving back to our separate homes. Sometimes we would meet in the middle, which for us was Maine. He was living in Canada and I was in Massachusetts. We’d meet in Freeport and spend the weekend eating and shopping. On one of these excursions we found a great little restaurant whose name is escaping me. We had a bottle of wine and appetizers. We were served the most amazing roasted garlic either of us had ever had. 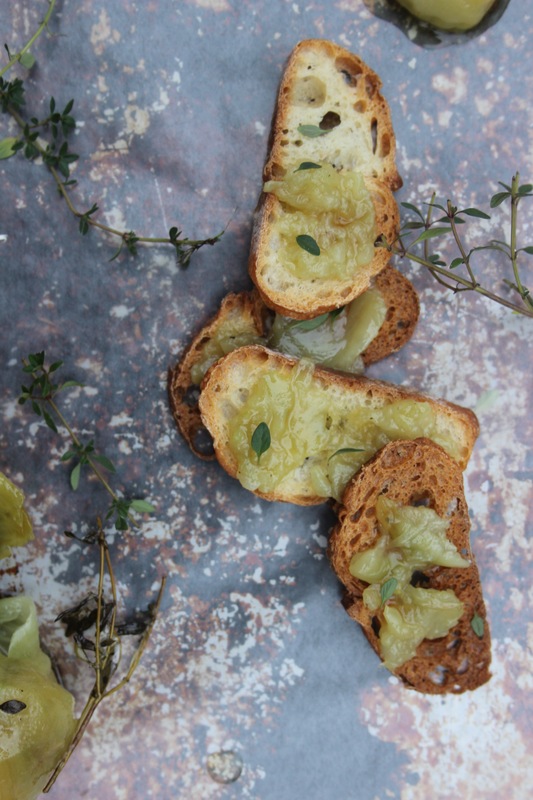 It was sweet and so lovely on the crusty toasted bread it was served with. 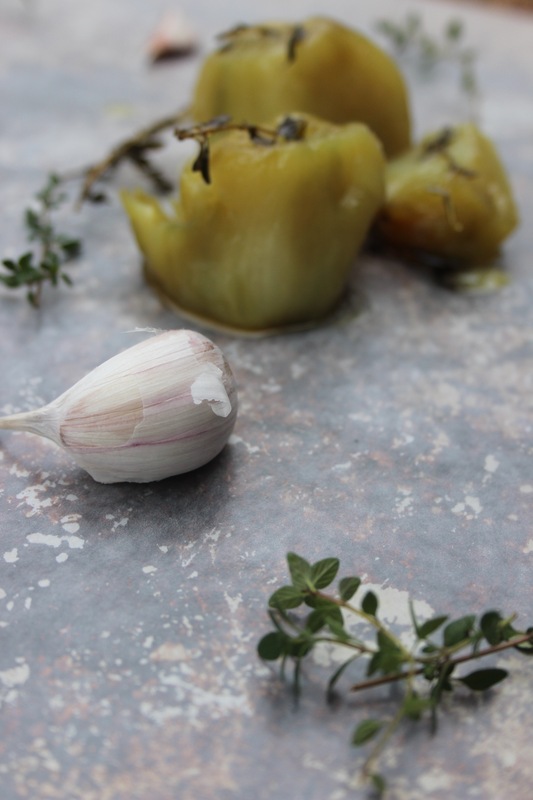 There is something about simple things like roasted garlic that just work when you are drinking a great glass of wine and find yourself sat by a cozy fire. They work especially well on rainy and raw November nights like tonight. 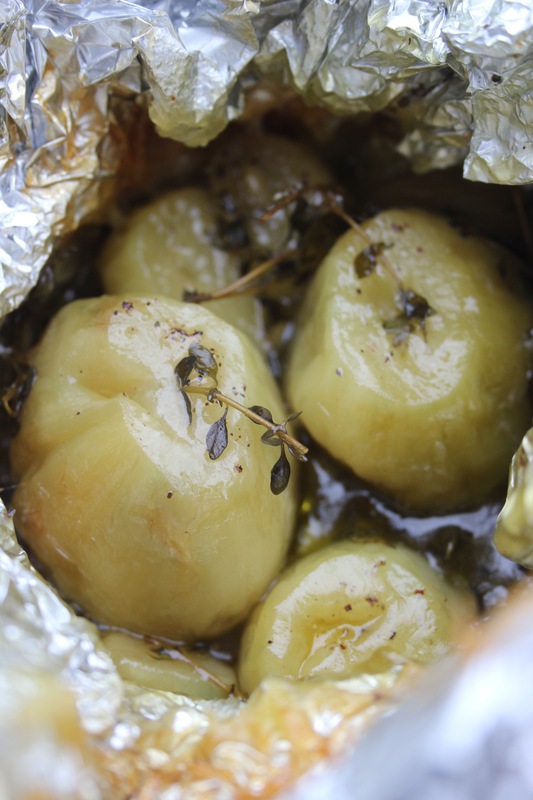 Roasted garlic is not complicated and it is full of flavor. 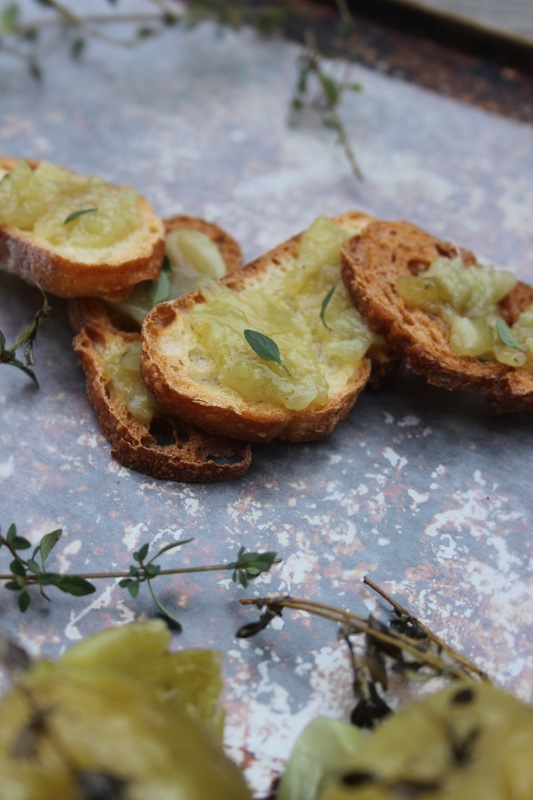 It can be used to enhance other dishes or be served on its own atop a piece of crusty bread. We started with one giant head of elephant garlic. 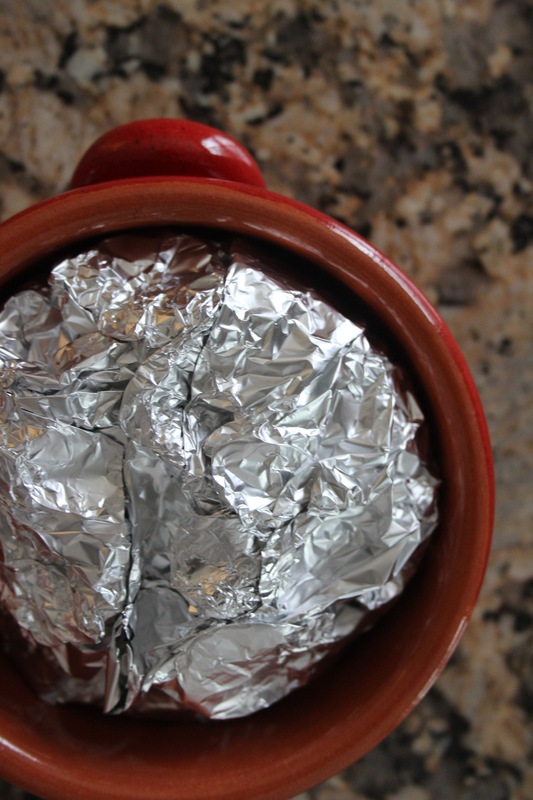 We removed the top third and placed the garlic in a piece of foil wrap before setting it in an oven proof bowl. 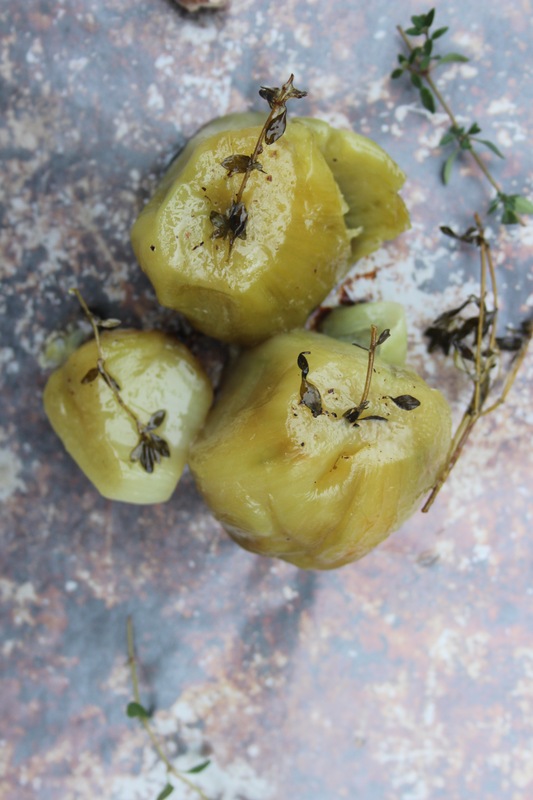 When we cut off the top of the garlic the pieces began to separate and the papery skins fell off. We didn’t let that stop us. 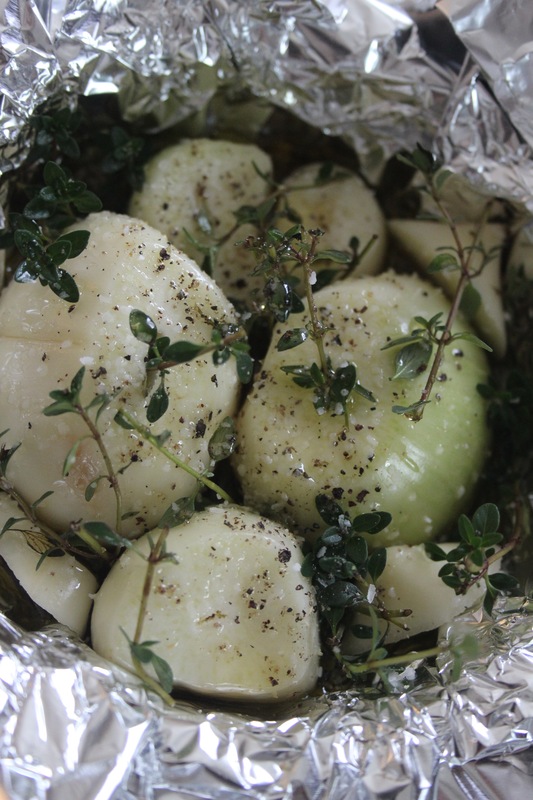 Peeled garlic roasts just as well. 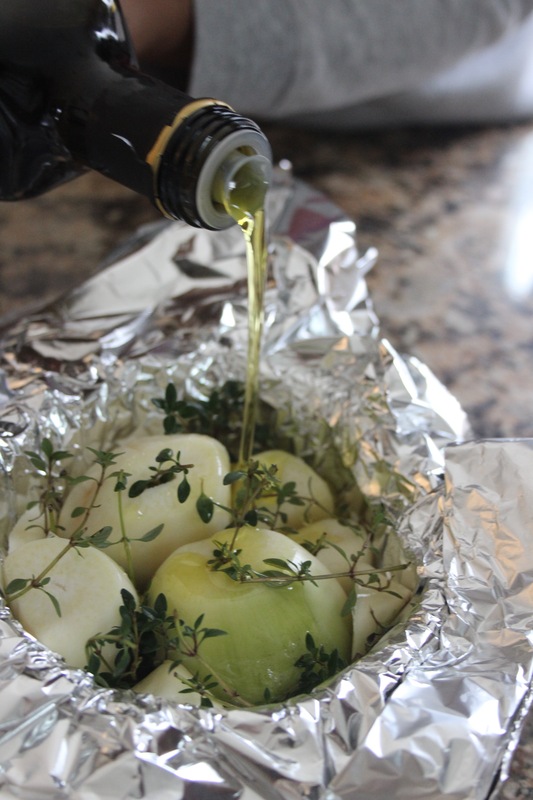 We poured thyme infused olive oil inside the head of garlic until it began to seep out the top. We added salt and pepper. 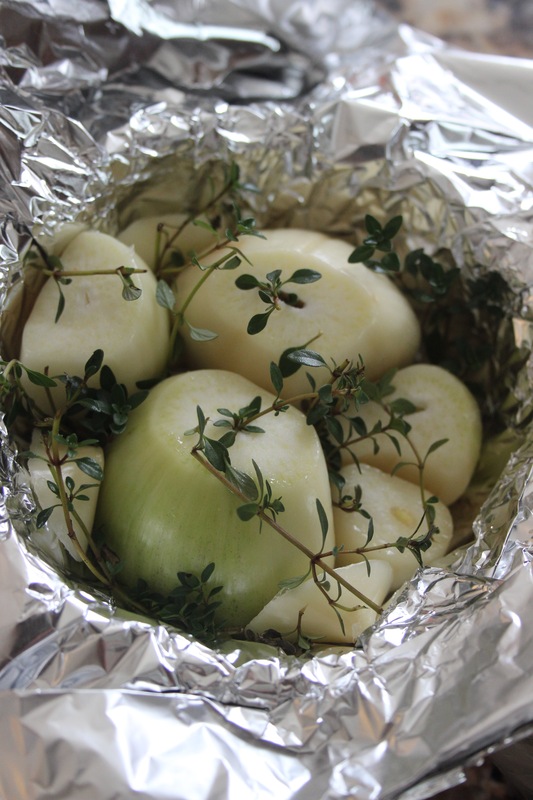 The garlic was then wrapped with the foil and placed into a 425 f. oven for an hour. 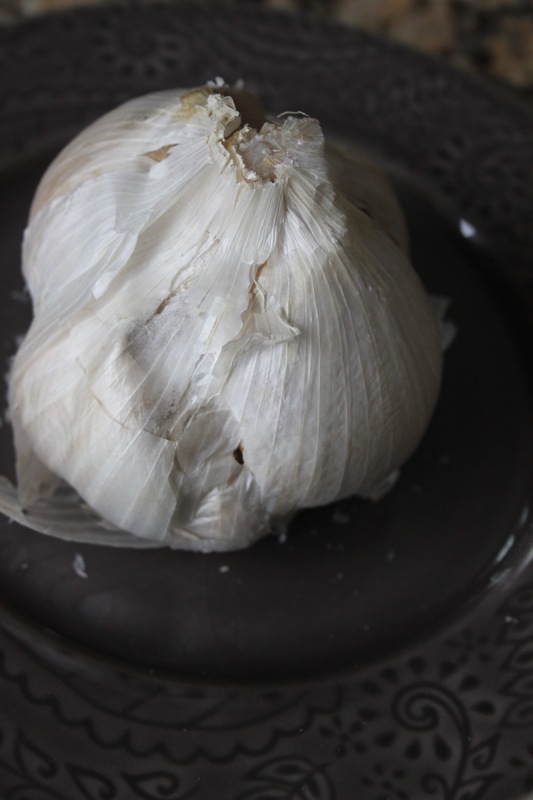 The important part is that the garlic should be soft when removed from the oven. Squishy soft. We used the insides to spread on some little toasts. This was sweet and comforting and a bit elegant all at once. It was also eaten at about 8:00 p.m. which made us feel about ten years younger…until our after hours wake up call when we were hit in the face with our true ages once again. Does anyone have any recipes to make children sleep through the night? !